The intersection of White School House Road and Ward Hill Road is frequently an accident site, police said. 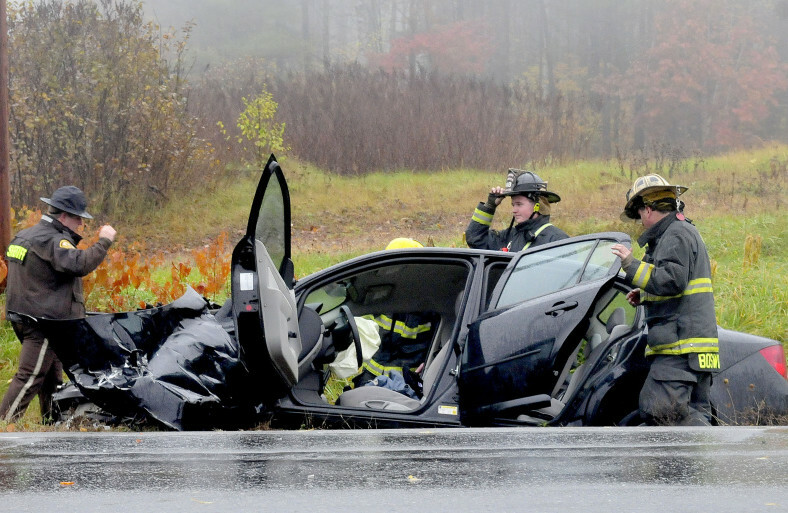 MADISON — A local woman was taken by ambulance to a hospital Thursday morning after her 2008 Chevy Cobalt was struck by a mid-size box truck at the intersection of Ward Hill Road and Route 148, White School House Road, in Madison. 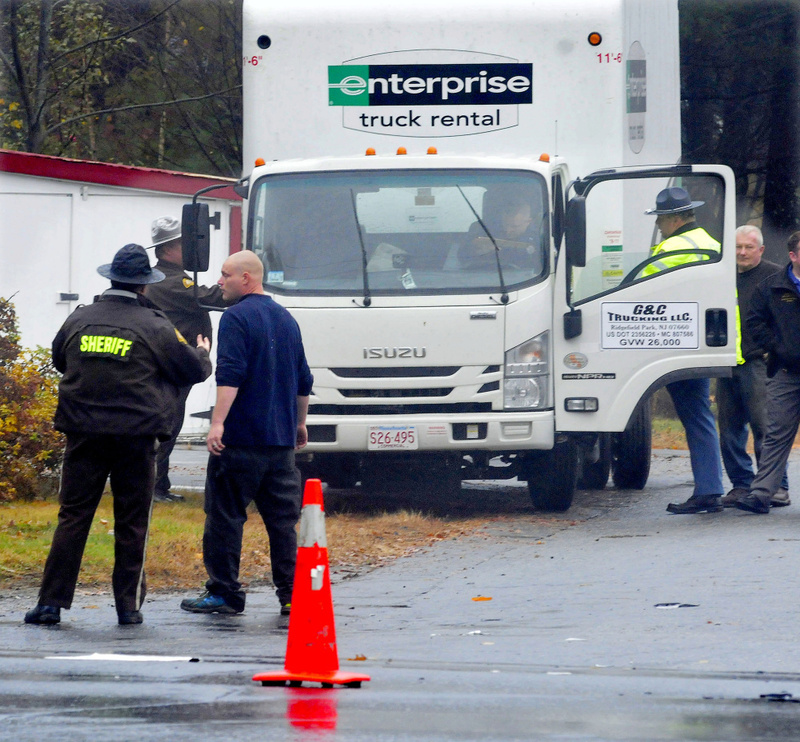 Kellie Tibbetts, 44, of Madison, was driving east toward U.S. Route 201 just after 9:30 a.m. when a rented truck driven by Harry Craigin, 34, of Fairfield, failed to stop at the stop sign on Ward Hill Road and slammed into Tibbetts’ car, demolishing it, Deputy David Trask, of the Madison Division of the Somerset County Sheriff’s Department, said at the scene. The site has been the scene of numerous accidents over the years. Craigin was issued a summons for failure to yield at the intersection. Trask said the car spun and came to rest in the ditch after the car’s front end got caught in the truck’s rear bumper. Trask said Tibbetts was awake and alert but appeared to be in pain. Cpl. Richie Putnam, of the sheriff’s office, said Tibbetts appeared to have suffered a broken ankle and possibly broken ribs. She also had a severe concussion. She was listed in stable condition at Redington-Fairview General Hospital in Skowhegan and will not be moved to another hospital. Craigin said at the scene that he tried to stop the truck, but could not. Neither Craigin nor his passenger was injured. Trask said the intersection where Ward Hill Road to the south and Old County Road to the north meet White School House Road has been the scene of numerous accidents over the years. He said the installation of blinking lights on the stop signs a few years ago has helped reduce the number of accidents.